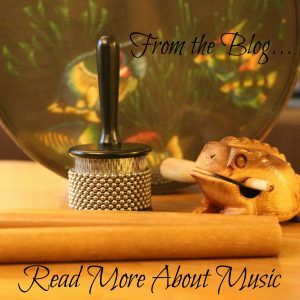 How can you incorporate music into your daily rhythms? Music is part of all of us. It is universal. It is all around us. Music is powerful. It can be healing. It can be relaxing, soothing, or calming. It can reduce pain. It can help one grieve. It can be energizing. It can be inspiring. It can unite people. It can cross language barriers and cultures. It can be an expression of self or of a people. It is a form of communication. Music accesses different parts of the brain. The act of playing and making music aids in learning and enhances development. It can provide an outlet for creativity and expression. It can be played alone or in a group. With so many benefits of music it only seems natural that we try to incorporate music into our daily rhythms of living. Most of you probably already do! But if you want to be more conscious and purposeful about it you will be armed with numerous resources and ideas for making music part of your life for its many benefits.